As the band and venue perhaps most interrelated in rock music annals, the Feelies returned to Maxwell’s last night to perform a complete start to finish set of the album for which they are best known — 1980’s seminal Crazy Rhythms. The night brought out the old fans, and few local luminaries — we spotted Glenn Morrow, owner of Bar/None Records, the label that reissued Crazy Rhythms and The Good Earth this Fall. Before proceeding through the album the Feelies performed an intense twelve-song first set which featured expert musicianship and quite a bit of animated play from Glenn Mercer. Opening with a letter-perfect VU’s “Sunday Morning”, the set was notable for some new songs, including “Bluer Skies” which debuted at the Whitney this Summer and “Time is Right” which debuted at Maxwell’s last Summer. Following the Crazy Rhythms set, the band returned for five encores including a rare “Last Roundup” and another run through the REM classic “Carnival of Sorts (Boxcars)”. I recorded this set from the perfect location in this venue and utilized the four microphone rig. The sound quality in the venue, mixed by long-time Feelies FOH Andy, was quite excellent and the four microphones captured a recording of incredible depth. Enjoy! 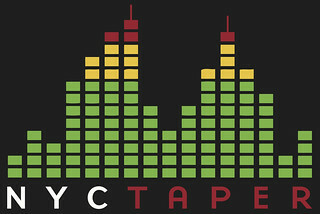 If you email nyctaper for access to this recording, we expect that you will PLEASE SUPPORT The Feelies, visit their MySpace page, and purchase the reissues ofÂ Crazy Rhythms and The Good Earth directly from the Bar None website [HERE]. thank you ! the feelies played a show here in chicago this summer…it will be the top show i saw this year! Thanks again from a big Feelies fan from Belgium. Big thanks from Scotland too. Thanks! Keep recording thsoe Feelies shows for those of us who don’t live on the east coast. By the way, I recently put together a Feelies Live Covers comp over here: http://doomandgloomfromthetomb.tumblr.com/post/220012708/real-cool-time-32-years-of-live-feelies-covers I used a handful of your recordings (with credit where credit’s due!) Hope that is cool … Thanks again. I saw the original post and the credit (with compliments). That is totally cool, and an excellent project. Thanks all the way from Jersey! 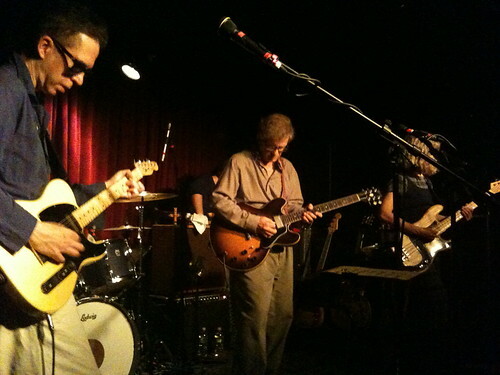 thanks….great show…I had not seen the band since “back in the day” when the Feelies or one of their iterations played Maxwells fairly often . A lot of old friends in the crowd so a good night all around . Thanks to you, the Feelies have reached New Zealand. As the odds of the band playing here are nil, this is as good as it gets… I’ve been checking out some YouTube clips of recent gigs, but recording quality is so deplorable. This will on my stereo quite a bit!